The topic of this article touches some core questions of today’s international affairs: Is the shale revolution universal? What is the foreseeable future of shale gas in Europe? 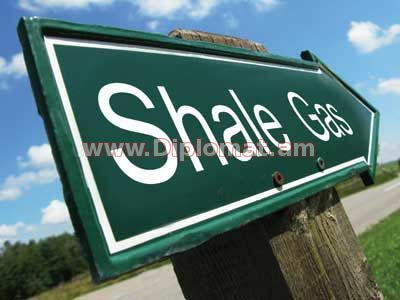 Hereby the domestic discourses on shale gas are revealed, and mainly the environmental issues discussed. Let us try to cover the basic nature of shale gas debate in Europe, further addressing the domestic discourse of Germany, Poland and United Kingdom. The Political Background and Major Concerns The so-called "shale gas revolution” in US launched some very new patterns in the logic of energy production in the world. In Europe, this new reality was confronted with a broad debate over the development of shale gas industry. The different approaches among member states to the shale gas development are based on a number of consequences and the environmental issues are the corner-stone of the debate. Besides the original concern of the private sector (including the state-owned companies) over the environmental costs, which directly affect the economic reasonability, changing the picture of overall expediencies, the environmental risks of shale gas development are of more serious political importance. In other words, the highly uncertain and hard environmental conditions of shale gas production make it an issue of an original debate whether the production is feasible at all or not. The policy making over the shale gas in European Union could have become an issue of supranational regulation. Despite certain calls for a blanket ban on hydraulic fracturing all over EU, this idea was rejected and the shale gas development issue is currently up to national governments. However, currently all projects, which include fracturing are "subject to environmental impact assessment” according to recent amendments in the EU legislation. Unlike United States, where the shale gas revolution plays a significant role in energy independence and will have long-standing consequences, in European Union the opinions have divided between those who have opposite priorities in this "environment-independence” relation. Most notably, in October 2013 the constitutional court of France has reaffirmed the previously adopted law banning the technology of hydraulic fracturing, thus de-facto banning the only feasible technology of shale gas extraction. This does not mean that these two issues of environment and independence (or political dimension of energy security) play the key role in decision-making processes. The policies are formed in a much more complicated arena of interests, and of course, such state as France with its usual surplus in electricity consumption due to strong nuclear power facilities can afford prioritization of environmental concerns. However, these two mentioned factors resemble the most "political” issues, which are usually raised in the public discourse of the respective states. The interrelation between environmental risks and energy independence seems to be the key content of the discourse in the European states, while there are numerous questions to be answered in order to make the shale gas production a foreseeable full player in the energy industry. Therefore, the energy independence and its further stabilizing effect on overall energy security is the main argument in favor of shale gas production. In this regard, it is important to evaluate the discourse within three main EU member states, which are generally concerned with the energy security issues and have certain vision related to the shale gas on their own national territories. Aspects of Shale Gas Discourse in Germany, Poland and United Kingdom Germany. In the early 2013 Germany, after long debates, prepared draft legislation, allowing the shale exploration and use of hydraulic fracturing under environmental safeguards, which means that impact assessment of all the projects will be upheld. Also, the fracturing in certain areas (for example near the drinking wells) would be prohibited according to it. However, the adoption was postponed due to upcoming elections until September 2013. In July 2013, a competent official declared on a local radio: "The current legislation generally permits hydraulic fracturing requests to be filed under the water rights and mining law. However, there is currently no public authority that would grant such authorization, which means that there is a de facto moratorium for hydraulic fracturing in Germany. This is why, with reference to surveys and parliamentary consultations, a new, more stringent bill was prepared based on which public authorities are meant to be able to make legitimate decisions regarding the approval or refusal of hydraulic fracturing requests. It is not our goal to impose a general prohibition on hydraulic fracturing. However, we think that the current legislation does not sufficiently reflect the issue of drinking water protection” (www.shale-gas-information-platform.org/areas/the-debate/shale-gas-in-germany-status-quo.html). This precisely describes the current official position in Germany. The US EIA data states, that Germany has 17 tcf of shale gas resources. Before the de-facto moratorium, the debate over shale gas was even more active, since it was parallel to the drilling by some companies like ExxonMobile. From the speeches of a German Green MEP Reinhard Bütikofer of the early 2012, it is clear that opposition in Germany has taken up measures on supranational level as well. On civil society level such initiatives as "No Moor Fracking” emerged and the slogan speaks for itself. The environmental impact of hydraulic fracturing has been the most troubling issue for the German soceity. Based on unsatisfying consumer prices for energy, it is hard to imagine the disappearance of the topic from the discourse. The first call for so-called "pilot projects” and experimenting in the field came up in summer of 2013. Besides that, there is also the question of energy independence in Germany, which is resembled by simple numbers: only 12% of consumed gas is produced within Germany. One of the most important initiatives in impact assessment is the "Hannover Declaration” of August 2013, which reconfirmed the primary importance of environmentally-friendly production and suggested further researches in the area, including pilot-projects. Poland Poland possesses huge shale gas reserves, initially estimated by the US EIA at about 148 tcf of shale gas. This fact forms the grounds of the Polish government’s outstanding devotion to promote the shale gas development in Europe by stressing both the economic dividends and energy independence. Polish consumption of natural gas is about 14.5 bln m3 per year and almost 70 % of it is imported. According to the Polish officials, the launch of commercial shale gas production is scheduled for 2014-2015. The Polish harsh and certainty about its shale gas production prospects are very clear and have recently been confirmed by firing of the Piotr Wozniak, Poland’s Deputy Environment Minister and Chief National Geologist. It is considered that Wozniak most probably began to slow down the national agenda on shale gas development. It is worth to note, that the central feature of shale gas debate in Poland, unlike others, is an almost ideological importance of the industry. In 2011 the Prime Minister Donald Tuck named the industry a "great chance” for the state. Unlike for example Germany and UK, there is almost a total political consensus over the certainty about shale gas development: the two major political parties’ positions differ only in tax and supervision issues. However, the protest movement in Poland is comparatively weak. Despites some farmers protesting against use of fracking technologies by Chevron from summer of 2013, the online petition in favor of the movement has yet gained less than 2000 votes (by January 3rd, 2014), while many of existing ones are from abroad. In April 24th, 2013 Marta Wagrodzka from the Ministry of Environment of Poland presented a research comprising of an interesting comparative table of consequences under which shale gas has and is supposed to develop in US and Poland respectively. Some of these features are included in the Appendix #1. UK US EIA research has originally calculated UK’s reserves at the level of around 26 tcf of shale gas. According to another research by the British Geological Survey in early 2013 the UK reserves of shale gas are at between 10 to 14 tcf. Since December 2012, the exploration of shale gas in the UK was launched again. It was decided then due to the introduction of some new measures to minimize the seismic tremors risks. At least six oil and gas companies are targeting shale gas exploration in the UK but only two have actually drilled shale wells (Ibid.). Later some other data also appeared, claiming that the overall potential reserves may even reach 170 tcf of shale gas. It is interesting though that the debate over hydraulic fracturing and its impact on water contamination ended even in 2011, when there was a conclusion by the Commons Select Committee. It was stating that there is no direct influence on underground water and "moratorium is not justified” in UK. Another important feature of the UK domestic discourse over the shale gas is the stress on the socially beneficial aspects of the industry development, namely the fact that it would create numerous jobs. However, the major political motivation for shale gas production support is the will to reduce imports dependency, which would be possible to certain degree according to the 2011 Deutsche Bank report. On the level of civil society the most notable issue, unlike German anti-fracting movements, is the danger of water shortages. "Friends of Earth” representative has called the efforts of UK government a "desparate search” for oil and gas that leads to water shortages. Another, probably the most politically hot-burning debate is over the consumer price for energy. A vast majority of observers oppose to David Cameron cabinet, claiming that, in fact the introduction of shale gas production, will not make positive change since the UK is connected to the European gas market and until the amounts of production are not large-scale enough to bring solid price shift. What we should keep in mind? In the light of energy security issues, the closer look at the discourse in Germany, Poland and UK would have resemble two different groups of countries within EU – those positive towards exploration (UK and Poland), and Germany which together with some other states is undecided. However, we see that there is no consensus in this area, and even between debates in UK and Poland there is a significant gap between people’s and officials’ perceptions and priorities. In turn, the revolutionary significance of shale gas industry, while sometimes truly overestimated on a global level, should not be underestimated in case of Europe with its large financial and technological advantages, and, of course, large estimated reserves in shale gas pools. Moreover, EU states are constantly facing the problem of energy dependence, especially in gas imports, and it triggers the interest for alternative sources. On the other hand, EU as a supranational body and its members are considered to be the leader of global environmental movement and policy-making. The overview of the domestic discourses in the three member states partly confirms the suggested hypothesis. However, there is no clear divide among those in favor and opposing or undecided parties on shale gas. Besides that, there is much difference between the political prioritization of different arguments related to shale gas development within the so-called "in-favor block”, which shifts the logic of the industry development significantly. There is one thesis which lies under the whole issue of shale gas in Europe: The discourse over shale gas production in EU member states currently is and is going to be majorly the question of prioritization between energy independence and environmental concerns.